Advanced Labeling Products has built an outstanding reputation as a leading distributor of labels and bar-coding equipment for over Twenty Five Years. We offer a full line of printers with an extensive line of thermal transfer and direct thermal labels and ribbons. The printers range in size, speed and capability, for high to low volume computer driven printers. 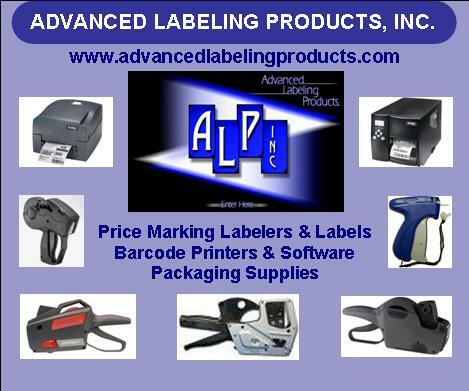 Advanced Labeling Products also offers a full line of price marking and date coding labelers and labels for all industries. To name a few brands, Contact, Garvey, Monarch and Towa. Advanced Labeling Products company philosophy is providing exceptional products and outstanding customer service at a competitive price. Let our friendly and knowledgeable sales professionals assist you in finding the right label and printer for your application. Make Advanced Labeling Products a single source for all your labeling needs.